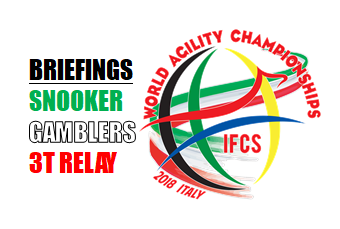 At this link you can find Snooker, Gambler, 3 Dog Team Relay Briefings of World Agility Championships 2018. IFCS wants all nations to be able to translate if needed into native language. We remind you that on Thursday, 26th April 2018 at 08.00am there will be Team Managers and Judge Snooker Brief. 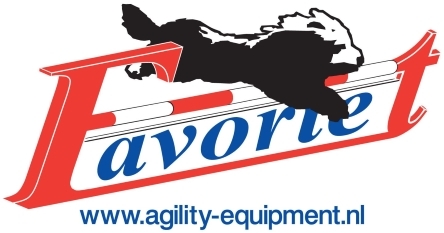 On Saturday, 28th April 2018 at 08.00am there will be Team Managers and Judge Gamblers Brief and on Sunday, 29th April 2018 at 12.45pm there will be Team Managers and Judge 3 Dog Team Relay Brief. 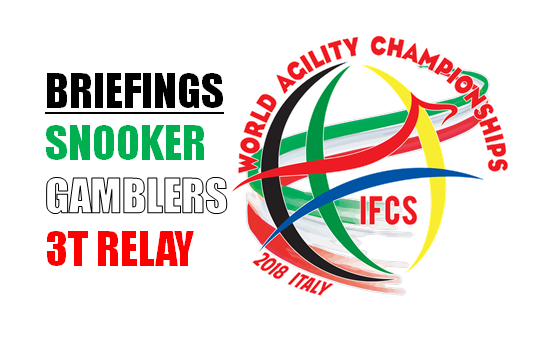 The courses to witch these briefings refer will be published on the scheduled days of WAC 2018, next week.